In a jungle of leopard, snake skin and zebras, it has become unclear what is the new black. 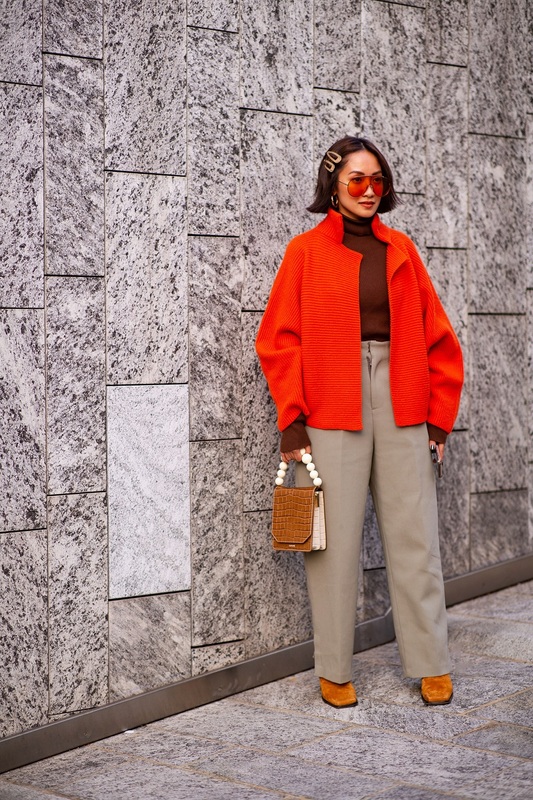 Although on the runways the prints continue to dominate, between checkered coats and striped pants we found some amazingly calm looks the stood out among the rest. 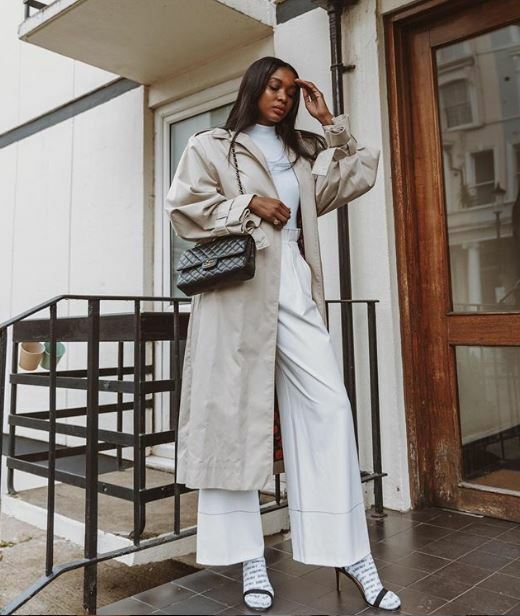 It’s needless to say that off the runway the bloggers are already ruling over the next big thing, and we can learn a thing or two from them about our new favorite trend – minimalism. 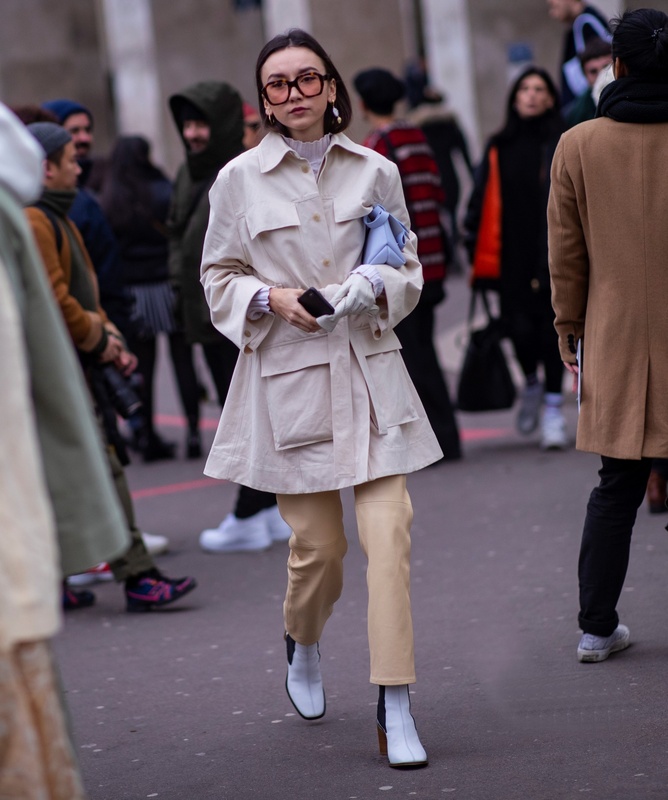 Yes, apparently in 2019 in order to stand out in the crowd you have to dress simply with less prints, more monochromatic looks and most importantly – keep your pets at home. MFW always presents refreshing trends alongside traditional ones, but this time it won us over than ever, and not just because of the new pizza place in town. 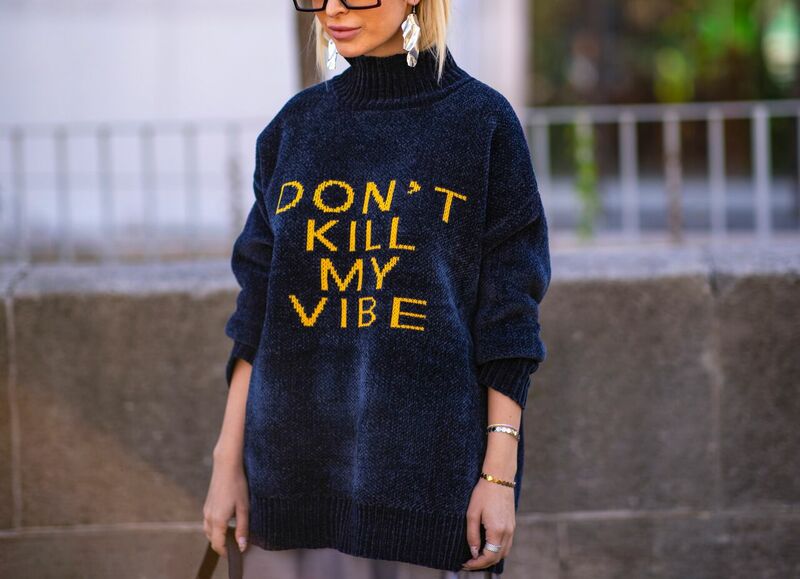 As mentioned, the minimalistic trend dominated the streets and appeared on most of the runways. Either a monochromatic look or a good old color block is definitely the new way to style your daily outfit. Max Mara’s fashion show started with a bang, when three models walked side by side with total monochrome looks; Genny’s runway was full of one-tone classic looks, and Giada took our breath away with a clean collection. 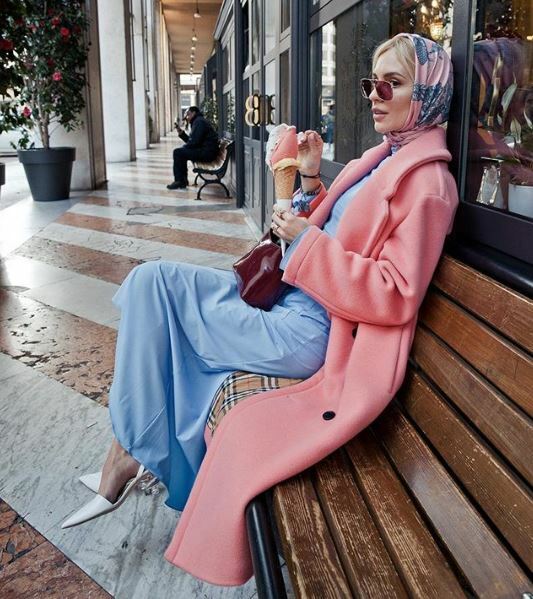 Brands such as Emilio Pucci, Jil Sander, Cividini, Alberta Ferretti and Aigner have all integrated it into their collections and inspired us to own one color at a time. 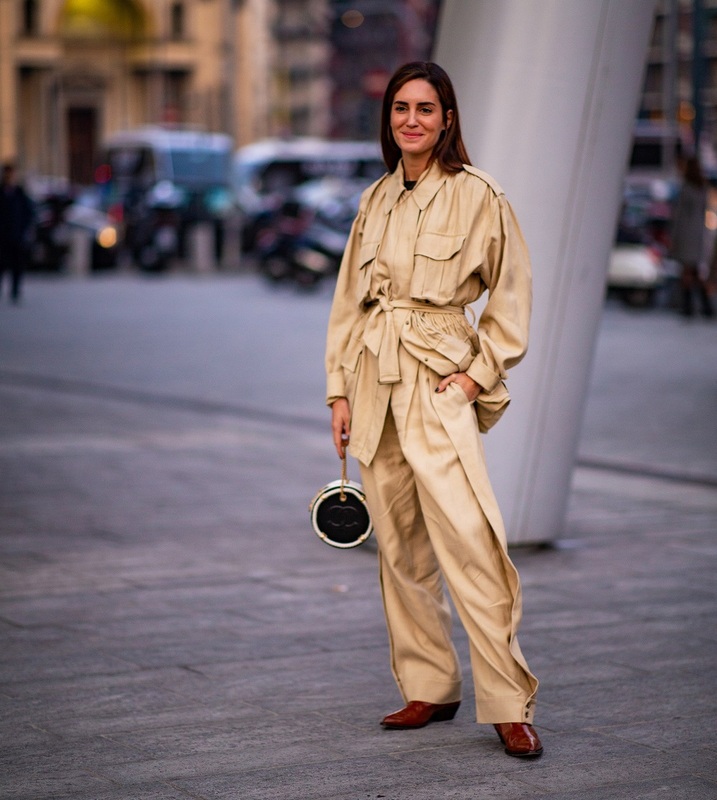 On the streets of Milan, New York and London, today’s most powerful trend-setters (aka bloggers) clarified that prints are on their way out. 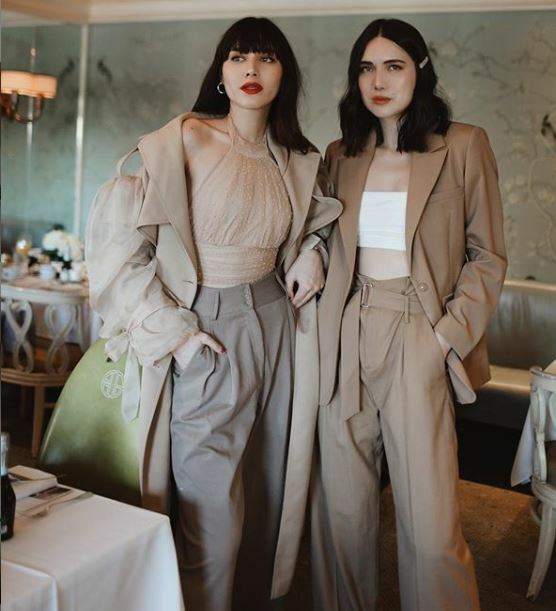 Erika Boldrin rocked a color-block pastel suit during MFW, so did Leonie Hanne during LFW (check out our article about pastel suits, you’ll love it); Loulou De Saison went for a natural colors color-block, while Evangelie Smyrniotaki made us fall in love with a monochromatic earthy-tone suit. There’s no doubt that we are finally reaching a new era where less is more. Well, after watching these images you’ll definitely want to clear and reorganize your closet. There is nothing more fashionably-satisfying than a good one-tone outfit, especially if it’s black, white, grey or earthy tones. 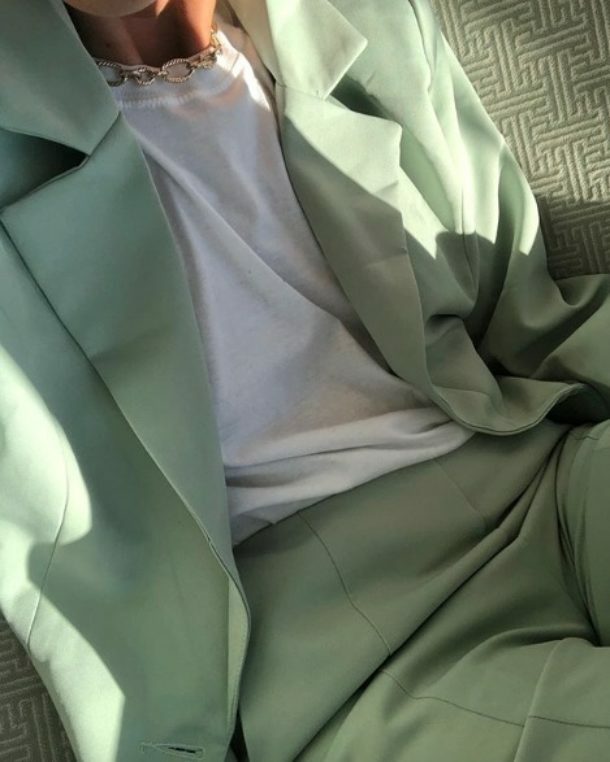 Rocking that type of look isn’t hard, but if you still want to be a little bit extra, wear this look with bright colors. Just imagine seeing a total hot pink look in the middle of the street (did we die and go to heaven?). 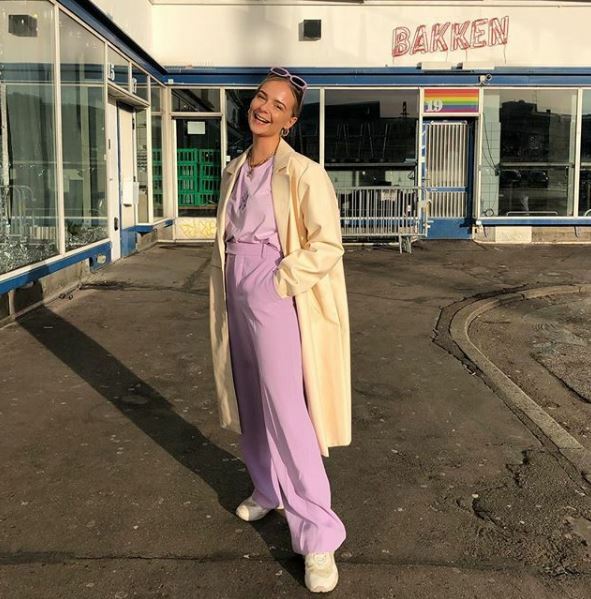 It doesn’t take much to look great in this type of outfit, but you need to make sure that you don’t overdo it – choose one color that flatters you, then break it with accessories in similar tones, like Natasha Ndlovu and Luana Codreanu did, or with different shades of the same color, like Annemiek Kessels did perfectly. Your look will still be monochromatic, but effortless. When it comes to color-blocking, the secret is combining the right colors, moreover – the right shades. Does every blue go with every green? Are purple and orange always a match made of heaven? 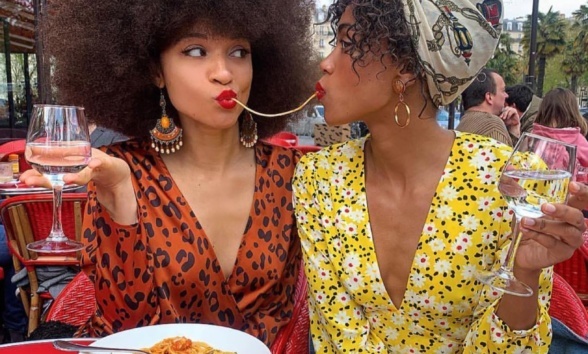 These are important questions you need to ask yourself before you try to pull off this tricky yet chic trend. 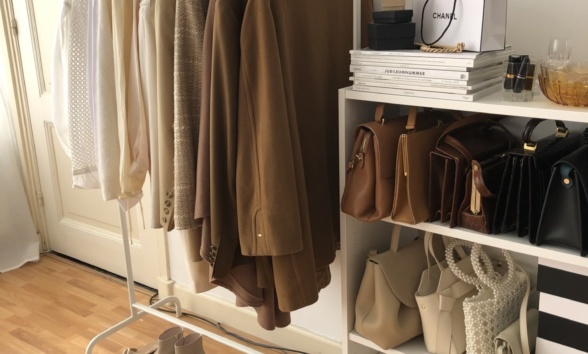 If you’re going for a subtle color block, different shades of brown and a touch of white will do the work, or pastel combinations (such as the ones we mentioned before). For a fun and strong color game, we recommend to look at different color companies’ sites (Pantone, for example) to find cool color combinations or even the full list of complementary colors (did we write the word “color” too much, or is it just us?). 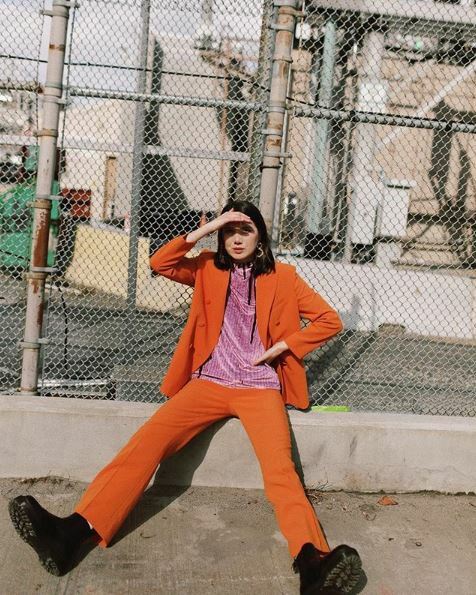 Let’s go a bit deeper, we would like to answer out own question – yes, purple and orange are a match made of heaven, a glimpse at Dylana Lim Suarez‘s look and you’ll fall in love. It is the perfect combination for color-blocking beginners, that always works and looks extra chic. Another winning combo is pink and red, which always turn a frown upside down. The secret formula to a perfect look is wearing a mainly pink outfits with smaller parts of red. A pink suit with a red blouse may be what you’re looking for. 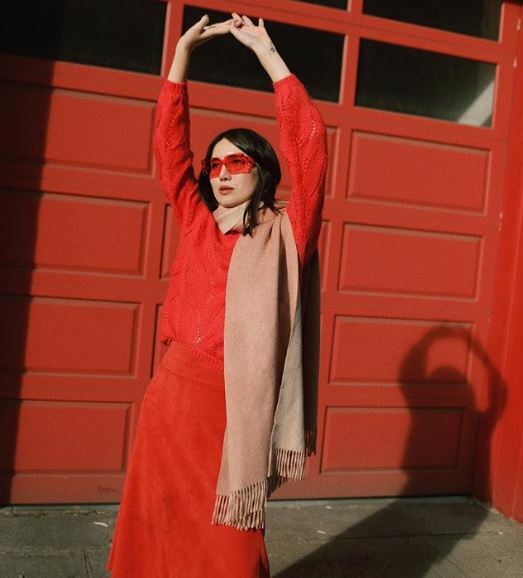 To wear this tip like a pro, choose Living coral color, 2019 color of the year, and mix it with a bright red. Don’t forget to upload a picture with that look and tag us! 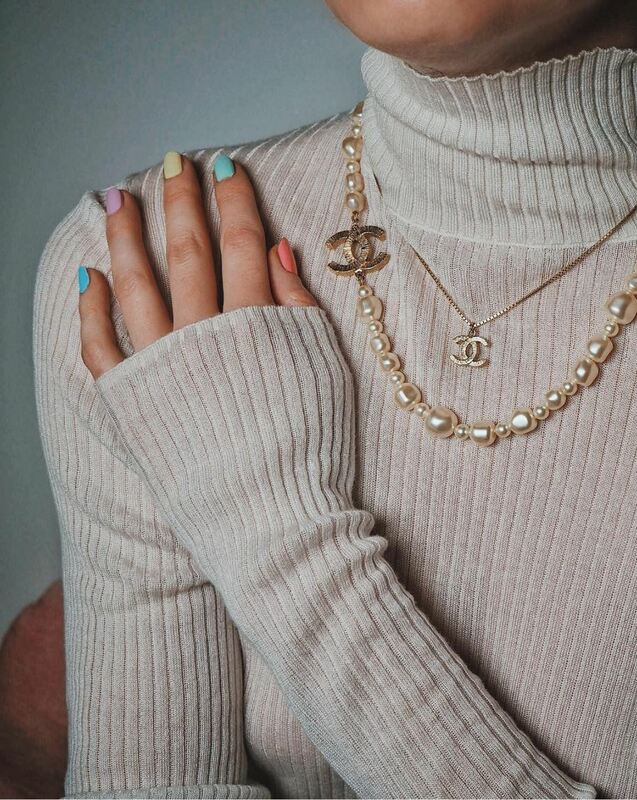 If you want to take your style one step forward, use pastel colors (which we are obviously obsessed about), every pastel mix and match could work! Green and lilac are the blogger’s favorite power couple. Another great combo is brown, black and beige. We know that for some people brown and black are a forbidden duo, but don’t worry! That’s what the beige is for. This holy trio will make you look like a real fashionista. Whatever you choose just remember that less is more, and it’s time to plan a farewell party from the urban jungle that is raving out there.